Greetings! Ever wonder what goes into making a great chef? Where their passion and interest stem from? I am very much excited to share this post with you and give you a sneak peak into a key component of my health and the foundation of my well-being. 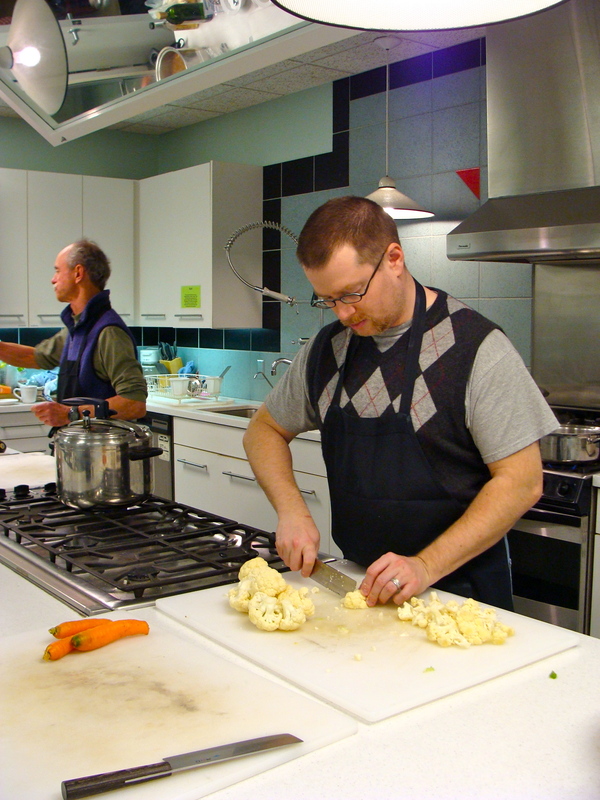 Several years ago I was given the opportunity to assist a chef at his weekly cooking classes. Newly diagnosed as someone living with food allergies (gluten, corn and most nuts) and not very proficient in the kitchen, I jumped at the chance. Enter Jeff Woodward. Nationally renowned chef specializing in holistic health cooking. Most Tuesdays (except evenings I have University classes) I arrive at The Wedge — one of the largest natural food co-ops in the nation at 6pm ready to chop up fresh fruits, vegetables, herbs and meats that Jeff has plentifully filled his cart with from the store below. At 6:45pm students start entering the classroom — already infused with the aroma of fresh ingredients and the start of Jeff’s creations we are about to consume. They come ready to learn what Jeff has to teach, but more importantly they come ready to eat his delicately and creatively prepared food — as many as 4-5 different dishes in one night. Three years later, I have a fine collection of Jeff’s mouth-watering recipes often used in my weekly repertoire of cooking. Yet what is dearest to my heart is I have learned how to use organic whole food ingredients and not get overwhelmed by the plethora of fresh produce, herbs and meats made available to us by our loving Creator. I have also developed a love for cooking healthy dishes that nourish my family and myself – along with many helpful techniques and knowledge. It is true what they say. Food really is medicine. Read on. Jeff Woodward has graciously given us an interview so we can learn more about him and what makes him tick. 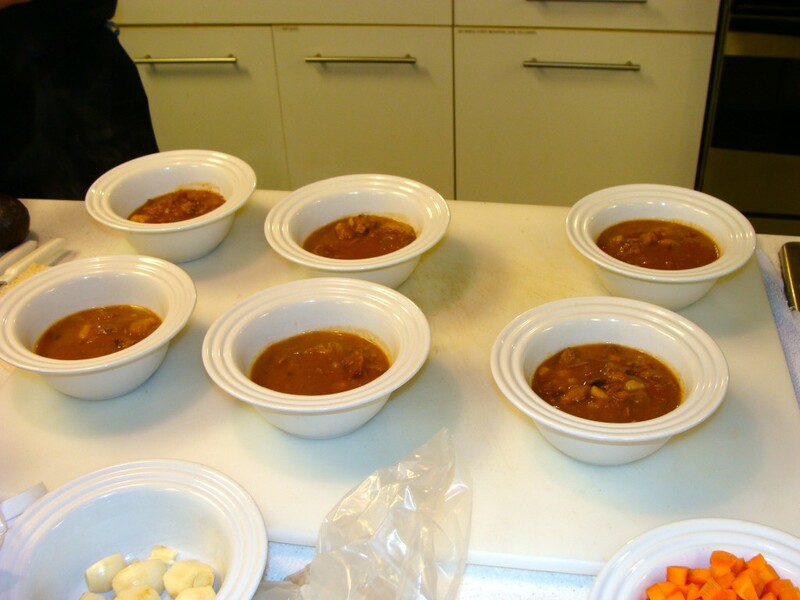 He also shared with us his grass-fed beef stew recipe! This is one not to be missed and perfect for these cold winter months. Enjoy! 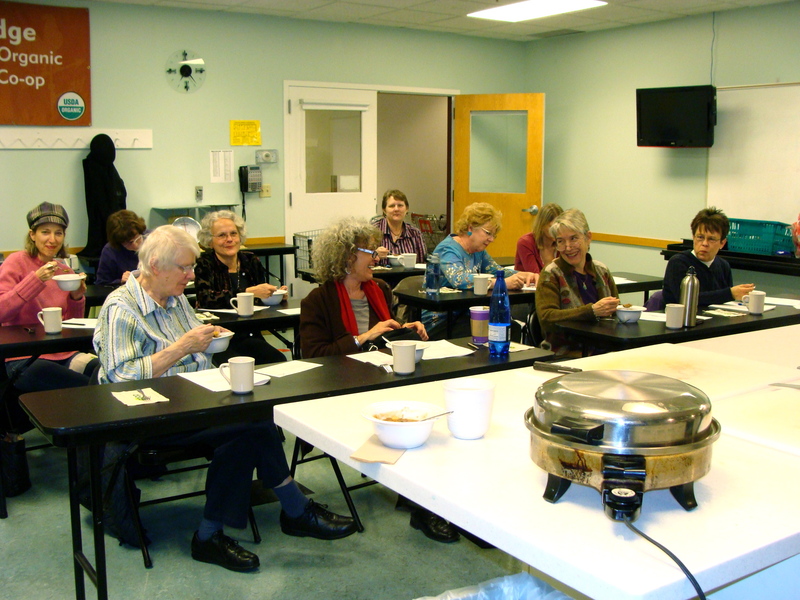 Note from Jeff Woodward: I currently offer cooking and nutrition classes at several venues in the Twin Cities area. I teach at Chef’s Gallery in Stillwater, MN on a monthly basis and at the Wedge Coop in Minneapolis on Tuesday evenings. Meals are provided at each class. 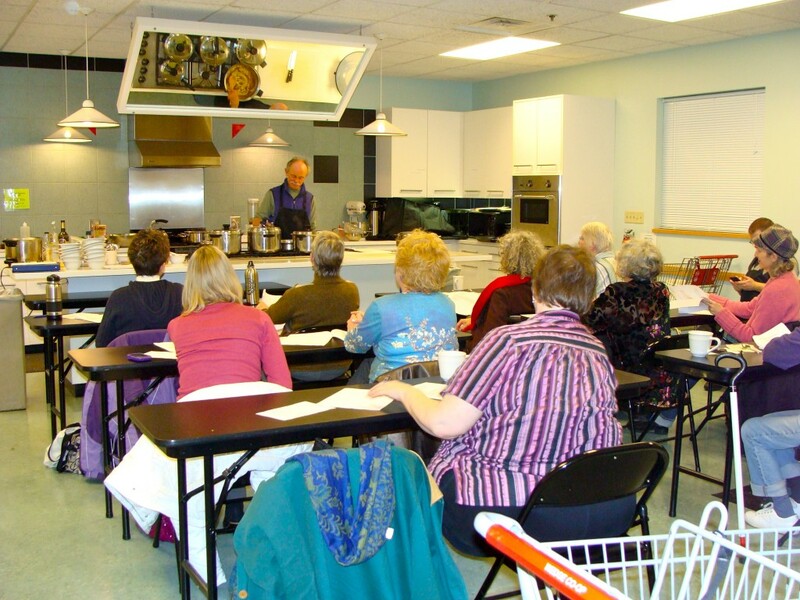 Coming class subjects include: The Anti-Inflammation Diet, Salt – the Essential Mineral, The Slow Cooker and Pressure Cooker Class, Gluten-Free Cooking, Eggs – the Perfect Food, and The Spring Vegetable Cooking class. 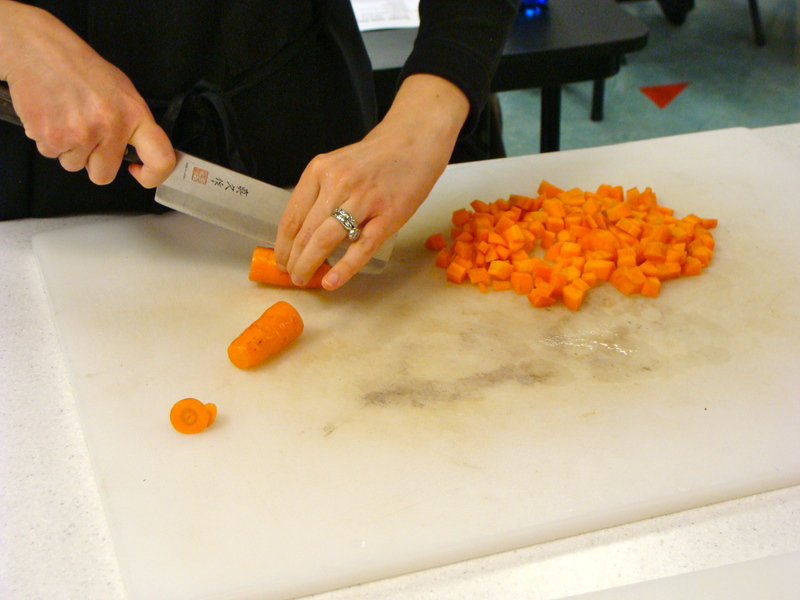 Go to http://www.wedge.coop/class-schedule/ for the Wedge Classes or to http://www.thechefsgallery.com/classes/classes.html for the Chef’s Gallery to either sign up or get more information. Virtually all my classes are gluten and dairy free, as well as protein/carb/fat balanced to help those people dealing with blood sugar issues. I can be contacted directly at gofood@aol.com. Have fun in your kitchen! I talked the maitre’d of a good French restaurant in Minneapolis, Minnesota into hiring me although I had no experience. He said, “We’ll start you as a busboy and see what happens.” I loved it. I stayed for five years working in the dining room as a busboy, waiter, captain, and part time maitre’d. I studied French cooking at home and with the chefs at the restaurant. The French and their love of food excited me. Their enthusiasm and excitement is with me to this day. It was my kind of theater. At that time I was having trouble with my eyesight. I frequently got colds and my legs were tired. I thought it was from working in the restaurant. On the advice of some friends I went to see a local chiropractor. Those visits changed the course of my life. My health problems improved and his natural health care practice made sense. The chiropractor’s understanding of food and illness caused me to examine my understanding of cooking and food, especially in regard to health problems. As I began to eat less animal food and sugar I noticed an improvement in my health and the health of my friends who were on a similar program. The French cooks were looking worse. I decided to totally change my diet. I heard of a young women who was starting a natural foods restaurant. I went over and volunteered my time for several weeks and discovered I liked the new pace and food. I eventually became the head cook and pastry chef. During the next two years I totally changed my approach to cooking. After those two years I wanted something new, something more challenging. Also, I didn’t want to cook with dairy products anymore. I had learned how detrimental they were to my health and the health of others. My chiropractor asked me to start a small restaurant at the chiropractic clinic to serve his patients. I did. 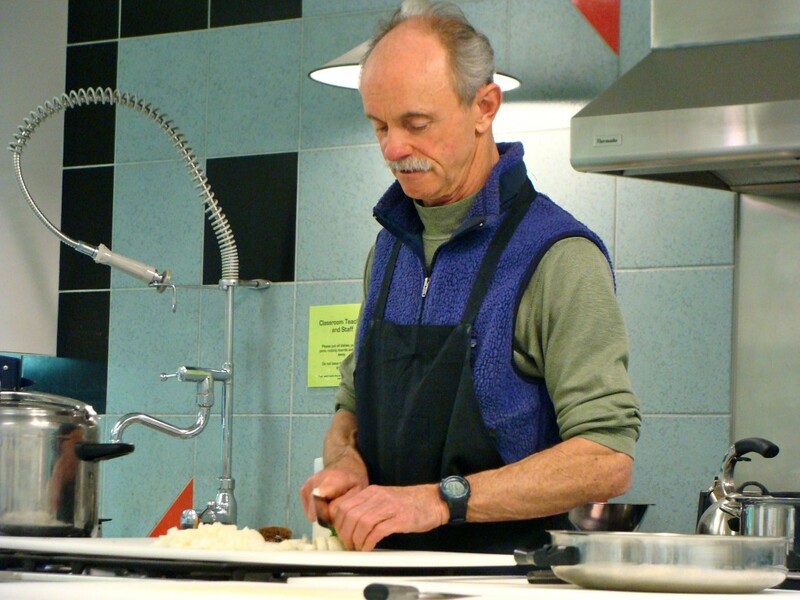 During the next three years I cooked for the staff and people with every type of health problem. I had a good time. Working at the clinic fueled my interest in the relationship of food to illness. I went to the Kushi Institute in Boston and took their program of study. 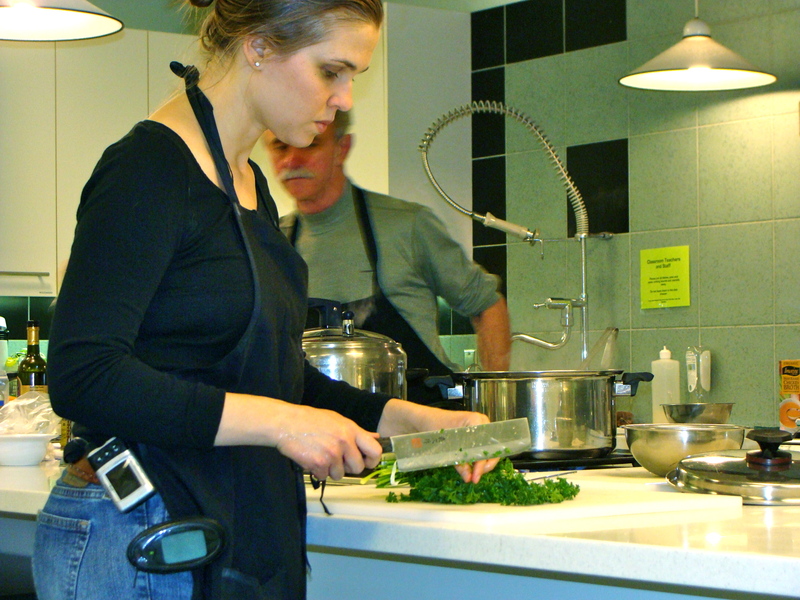 I have taken advanced classes in cooking for cancer patients at the Institute as well as the regular curriculum. Later I began a program of graduate level study in nutrition at the Northwestern Chiropractic School in Bloomington, Minnesota. I continue to take graduate level seminars in nutrition with important people in the field. For the last twenty-five years I have worked in a professional capacity as a nutrition consultant with a local chiropractor, as well as the patients of other doctors. I began teaching cooking classes in l981 because our patients at the clinic were not being successful with the new foods in their diet. They clearly had a need for instruction. I was surprised at the response to the classes. People were enthusiastic. They thought natural foods had to taste dreadful. My background in French cooking has been very useful. As they discovered their meals could be delicious there was a pronounced shift in their interest in making changes. People say things like, “I would never have made it without your classes.” Classes are essential, I believe. A person needs to see the food made, but more importantly, they need to taste it and like it. In l983 I started a natural foods menu service with subscribers around the country. These recipes, researched at my small restaurant, became a cookbook called The Healing Power of Food. I have been selling the book through chiropractors since 1985. My cooking has continued to change and evolve over the years. I became dissatisfied with the macrobiotic cooking I was taught. It wasn’t tasty or attractive and it was definitely too weird for most Americans. My approach is to blend European cooking with high quality natural foods in a way that appeals to Americans. Healthy cooking also needs to fit into the lifestyle of this fast-paced world. In 2005 I developed a new book called Jump Start. A doctor in Maine wanted a book for her patients that was gluten and dairy free, balanced proteins, fats and carbohydrates, had recipes with shopping lists, suggestions for replacements for possible allergens (such as tomatoes), simple recipes and directions as well as a great index. It took six months to write and is available in both print and a digital version. It’s 30 days of breakfasts, lunches and dinners for people who want to make a significant change in their eating in a month’s time. 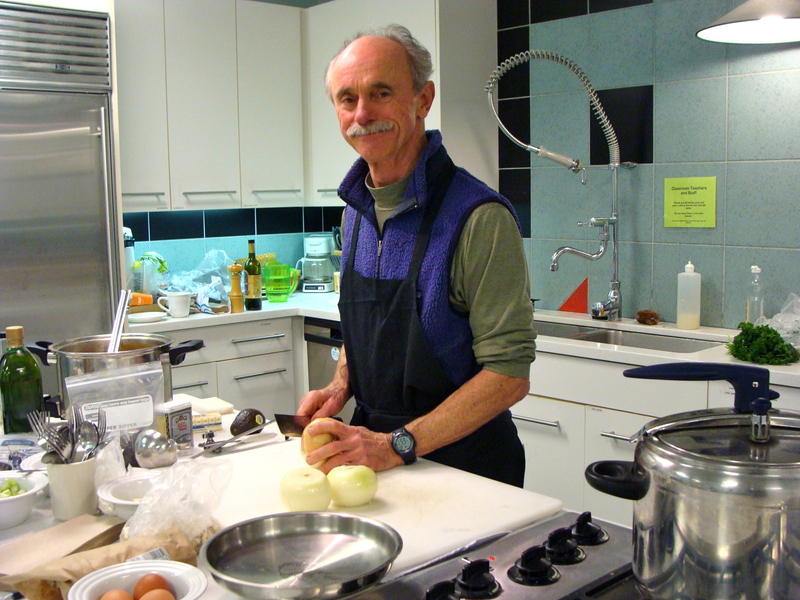 Currently I am teaching my natural foods cooking classes nationally as well as in the Twin Cities of Minnesota, putting my 30 years of cooking, study, and experience with patients into a classroom format. I travel to doctor’s offices in different parts the country presenting this information so that more people can experience the wonderful health possible from the combination of good care and proper diet. I also work with individuals on a one to one basis developing strategies for dietary change as well as the recipes necessary for specific problems, such as food allergies, diabetes or immune system disorders. My purpose is to help reduce human suffering and misery through the use of high quality foods. You are what you eat, after all. Warm a 4-6 quart pot and add the oil, garlic, carrots and mushrooms. Cover the pot and simmer for 15 minutes. Add the potatoes, wine, tomatoes, broth and beef to the pot and bring the liquid to a boil. Reduce the heat to simmer, cover and simmer for 6 hours. Season the stew with the tamari sauce. 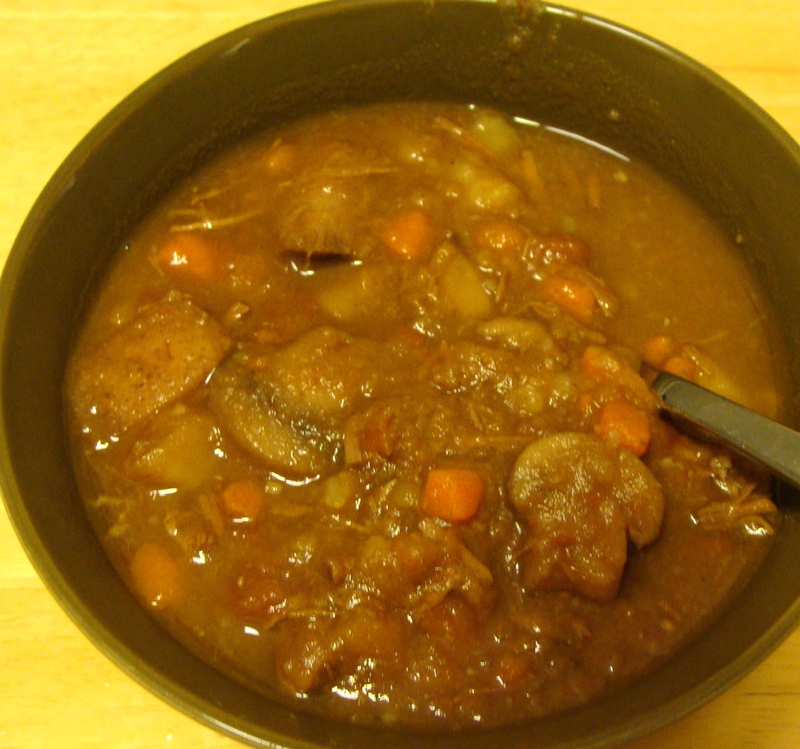 Thicken the liquid by stirring in an arrowroot mixture (1 Tablespoon arrowroot + 1 Tablespoon cold water). Serves four to six people. Happy 2 years to Diabetes Light!! Decade of Discovery interviews Diabetes Light! Riette, Thanks so much for sharing. This is so interesting to hear! Very cool that you are cattle farmers too. I do not believe I would be able to eat my own animals either. I hope you try out this delicious recipe! In the nineties I took a class from you in Vancouver. I’ve used and treasured your cook book ever since. One thing bothers me still. In the class you made tahini gravy but with the addition of miso. I regret that I didn’t write that little tidbit down because I’m still doing it by trial and error. Just how much miso do you use with a half cup of tahini? It has been 18 years but I still talk about your class and your cookbook. At the time of the class I had a daughter who was in her junior year living under my roof. I would see her now and then as she was always on the go. Then, I took your class. I would make an herbal baked chicken breast like we did in class and as described in your cookbook. She would ask if I could make more and she would invite some friends over. About ten of her friends came over Friday night. One fellow said it was the best chicken he had ever eaten. Then I made eggplant, also the best he had ever eaten. He also loved your granola recipe, with peanut oil and maple syrup, I believe. I made a special-order batch for him. I continued cooking your recipes for the young folk for the rest of the school year. Great to see you are still out there doing good things. Are you going to be in Maine this Fall or have you written a book? I would be very interested in following your common sense way of eating.